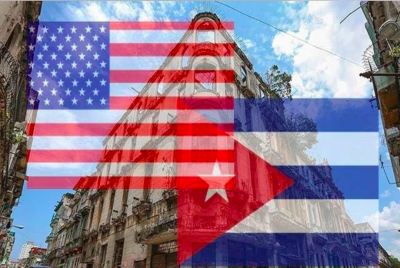 While the rapprochement between Cuba and the US will rank highly in the achievements of the Obama administration, it is a deal with sharp blades and rough edges. Such an issue provides a host of reactions. The doors may be opening, but what will Cuba be letting in? The flag fetish on CNN was suggestive of omens to come. The aged marines who took the US embassy flag down from the embassy as Cuba fell to Fidel Castro were interviewed, while the new set were also given an airing about what it would be like to raise the holy item over the compound again. The term “normalising” should perhaps be scrapped from the official US-Cuban handbook of engagement. There has been something fundamentally abnormal in the relations between Havana and Washington. Generations have witnessed empires with their ambitions and cruelties imposed upon Cuba. Spanish departure laid the way for US intrusions. Talk about emancipation was rapidly replaced by actions of the brute. When the Cuban mistress refused to comply with Uncle Sam’s lustful wishes, the anger exploded. That tendency, in rather unedifying fashion, has continued in the form of Secretary of State John Kerry, who drew on that great tradition of US hectoring in telling the Cubans what they really wanted. That old, sadly ill-kept mummy called democracy was taken out of the tomb and displayed in speech. This was the mummy of distinct US pedigree. Much of US-Cuban relations revolve around such themes, showing how traumatic the loss of Cuba (the Cuba of heavily pressed flesh, ribald entertainment, and Battista) proved to be. This was Nora walking out of the Doll’s House. It was repudiation rejection and a grand jilting. And still, Castro was willing to seek “normal” relations even as the abnormality of conditions was being reasserted. President John F. Kennedy did the rest. The result was the continuous language of the aggrieved. Embrace the US liberal democratic model because civil rights are the great badge of freedom, and the US, well, does it better than anybody else. Leave aside that, even as Cuba was winding back segregation policies under the Castro government, the United States was still, not so much flirting as comingling with racial separation. Then there were those socialist nasties taking place close to US soil, repeatedly anathemized by the Washington establishment: free medical treatment, education, redistribution of land. This was social welfare on steroids, deemed a grotesque affront to liberty’s land.Such is freedom, with its autochthonous gristle, its local inconsistencies, and even latent invisibilities. The world of ideas often floats above the cruelties of the real terrain. Both Cubans and many in the US may well know this, but the acceptance doesn’t necessarily translate into the official record. And what of the export quality being suggested? US democracy, like various local wines, does not travel well, oxidising on route. Its battles are its own, organic conflicts that forge synthesis through internalised debates that only have a superficial universality. This lesson was well understood by such historians and writers as Daniel Boorstin, who made the stark point in The Genius of American Politics (1953). Boorstin even went so far as to argue that, “Nothing could be more un-American than to urge other countries to imitate America. We should not ask them to adopt our ‘philosophy’ because we have no philosophy that can be exported.” Exceptionalism can never be flattered, even sincerely. But Realpolitik remains the elephant in the room, one which bastardises any effort to be entirely civil about civil rights or social reform inspired by any one, exported model. Give the people the vote, by all means, but redirect them, as in the case of Chile, if the outcome is undesirable to the super power chessboard. The dirty wars of Central and South America, and the sturdy backing by Washington, linger like a malodorous smell. Memories of Henry Kissinger’s idea of directed democracy are everywhere. Melanio Martinez, almost 80, would remind Reuters about “who has committed more atrocities in the world than the United States? Who has invaded all of the countries of Latin America including Cuba? The United States.” A touch hyperbolic for some, but not by much.